How to pass Cisco 400-251 Written exam for CCIE Security certification? Here recommend you Updated CCIE Security 400-251 V5.0 Written Exam Questions, which provide you real 400-251 exam questions and answers to pass it successfully. Be sure to use real 400-251 practice questions widely during your knowledge process. They will encourage you to nail down the official word on just about any 400-251 exam topic. 1. Which of the following is used by WSA to extract session information from ISE and use that in access policies? 2. For your enterprise ISE deployment, you are looking to use certificate-based authentication for all your Windows machines. You have already gone through the exercise Of pushing the machine and user certificates out to all the machines using GPO ・ Since certificate based authentication, by default, doesn’t check the artificate against Active Directoryepr requires credentia’S from the user. This essentially means that no groups a re returned as part of the authentication request. 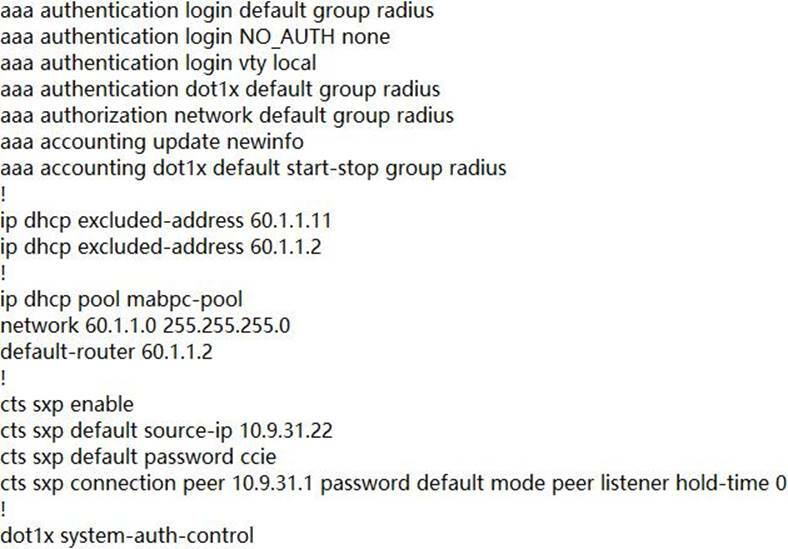 What a re the possible ways to authorize the user based on Active Directory group membership? 3. Which statement is true about a SMURF attack? A. It sends ICMP Echo Replies to known ip addresses in a subnet. D. It sends ICMP Echo Requests to a broadcast address of a subnet. R2 is getting time synchronized from NTP server R1. It has been reported that the clock on R2 cannot associate with the NTP server R1. Which possible cause is true? A. R2 has connectivity issue with the NTP server. 5. In your network, you require all guests to authenticate to the network before getting access, however, you don’t want to be stuck creating or approving accounts It is preferred that this is all taken care of by the user, as long as their device is registered. 6. Which protocol does ISE use to secure connection through the Cisco IronPort Tunnel infrastructure? 7. Which protocol does ISE use to secure a connection through the Cisco IronPort tunnel infrastructure? 8. An employee using an Android phone on your network has disabled DHCP, enabled it’s firewall, modified it’s HTTP User-Agent header, to fool ISE into profiling it as a Windows 10 machine connected to the wireless network. This user is now able to get authorization for unrestricted network access using his Active Directory credentials, as your policy states that a Windows device using AD credentials should be able to get full network access. Whereas, an Android device should only get access to the Web Proxy. Looking at the configuration what may cause the MAB authentication to fail for a supplicant? What is the best way to get Prime Infrastructure to authentication to all your network devices? 11. Which statement correctly represents the ACI security principle of Object Model? B. It is policy placed at the intersection of a source and destination EPGs. D. It consists of one or more tenants having multiple contexts. 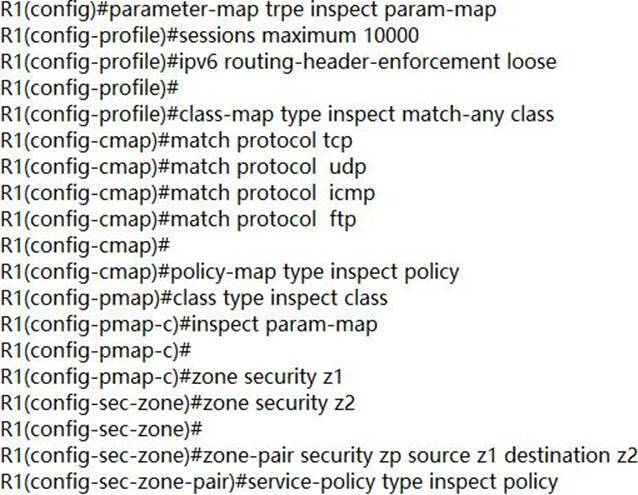 E. These are rules and policies used by an EPG to communicate with other EPGs. 12. In your ISE design, there are two TACACS profiles that are created for device administration: IOS_HelpDesk_Profile, and IOS_Admin_Profile. The HelpDesk profile should login the user with privilege 1, with ability to change privilege level to 15. The admin profile should login the user with privilege 15 by default. 13. Which statement about Dynamic ARP inspection true? B. It requires that DHCP snooping be enabled to build valid binding database. C. It validates ARP requests and responses on untrusted ports using MAC address table. D. It validates ARP requests and responses on trusted ports using IP-to-MAC address binding. E. It forwards invalid ARP responses and requests on switch untrusted ports. F. It drops invalid ARP responses and requests on the switch trusted ports. R9 is running FLEXVPN with peer R10 at 201.4.10 using a pre-shared key "ccier10". 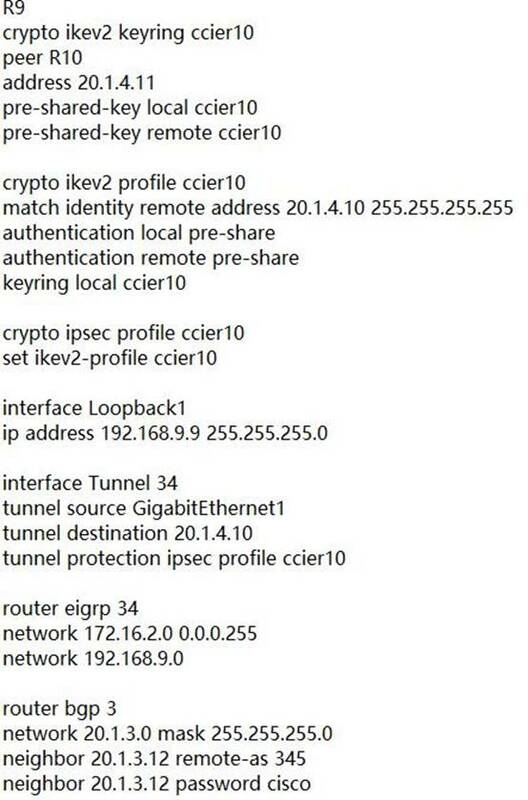 The IPSec tunnel is sourced from 172.16.2.0/24 network and is included in EIGRP routing process. BGP next hop is in AS 345 with address 20.1.3.12. It has been reported that FLEXVPN is down. 16. Which function of MSE in the WIPS architecture is true? 17. Which statement about SenderBase reputation scoring on an ESA device is true? B. You can configure a custom score threshold for whitelisting messages. C. Mail with scores in the medium range can be automatically routed for antimalware scanning. D. Sender reputation scores can be assigned to domains, IP addresses, and MAC addresses. E. By default, all messages with a score below zero are dropped or throttled. F. Application traffic from known bad sites can be throttled or blocked. 18. Which statement is correct regarding password encryption and integrity on a Cisco IOS device? C. The "service password-encryption" global command performs both encryption and hashing of all the passwords. A customer has opened a case with Cisco TAC reporting an issue that one of the Windows client supposed to login to the network using MAB is no longer able to access any allowed resources. Looking at the configuration of the switch, what could be the possible cause of MAB failure? 21. What are the advantages of using LDAP over AD? D. LDAP allows for granular policy control, whereas AD does not. 22. Which description of a Botnet attack is true? 23. Which of the following is true regarding ASA clustering requirements? A. Units in the cluster can be in different security context modes. 25. Which statement correctly describes TAP mode deployment in IPS? 26. Which statement about NVGRE functionality is true? C. It tunnels Ethernet frames inside an IP packet over a virtual network. D. It allows physical Layer 2 topologies to be created on a physical Layer 3 network. 27. Which statement is true regarding Private VLAN? 28. 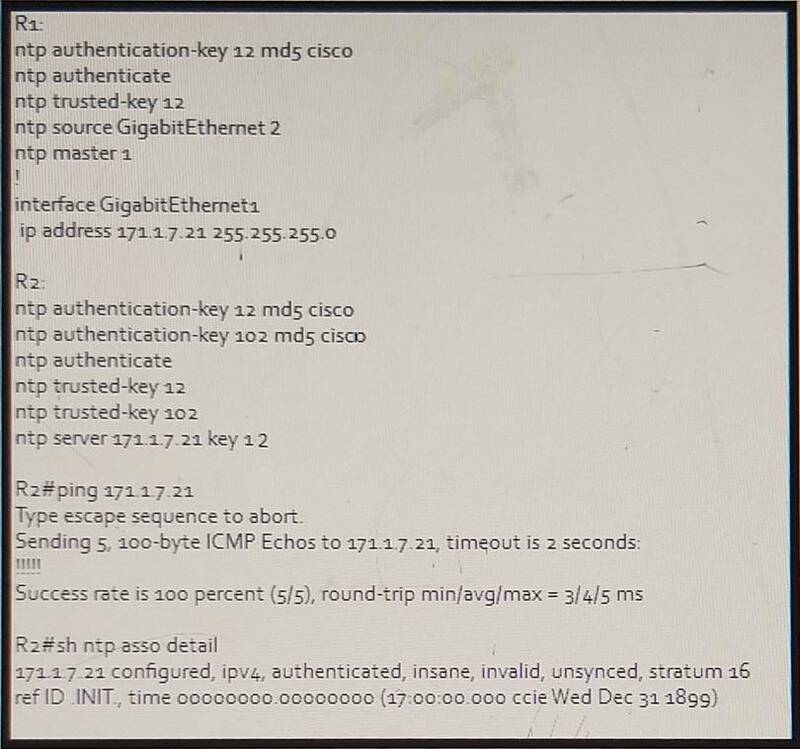 Which statement about Nmap scanning on the Cisco Firepower System is true? A. It passes TCP, UDP, ICMP, and FTP traffic in both directions between z1 and z2. 30. Which statement about the Traffic Substitution and Insertion attack is true? B. It is used for reconnaissance. C. It substitutes payload data in a different format but has the same*leaning. D. It is form of a DoS attack. 31. The purpose of an authentication proxy is to force the user to authenticate to a network device before users are allowed access through the device. This is primarily used for HTTP based services, but can also be used for other services. In the case of an ASA, what does ISE have to send to enforce this access policy? 32. Which of the following is the correct statement regarding enabling SMTP encryption on ESA? A. Enabling TLS is an optional step. D. TLS can be enabled only for receiving. 34. Which statement description of the Strobe scan is true? A. It never opens a full TCP connection. C. It is used to find the ports that already have an existing vulnerability to exploit. D. It checks the firewall deployment in the path. E. It is a directed scan to a known TCP/UDP port. F. It evades network auditing tools. 35. Which statement is true regarding SSI- policy implementation in a Firepower system? A. Access control policy is responsible to handle all the encrypted traffic if SSI- policy is tried to it. C. If Firepower system cannot decrypt the traffic, it allows the connection. 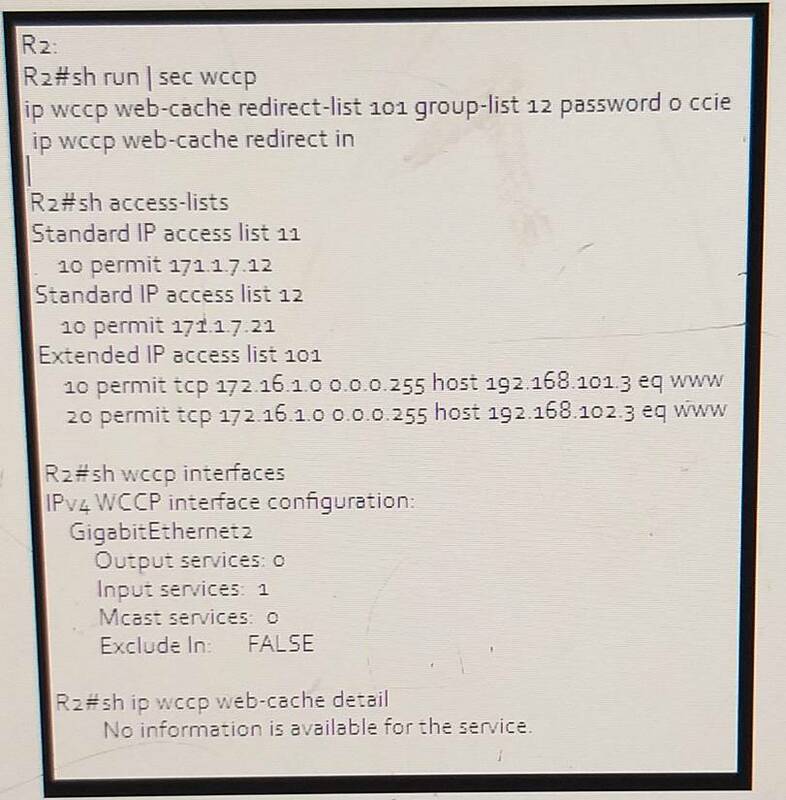 R2 is configured as a WCCP router to redirect HTTP traffic for policy implementation to WSA at 171.1.7.12 with the passphrase used for authentication as "ccie". The redirection is for the traffic on R2 Gi2 interface in the inbound direction. There is an issue reported that web sites are not accessible anymore. 37. 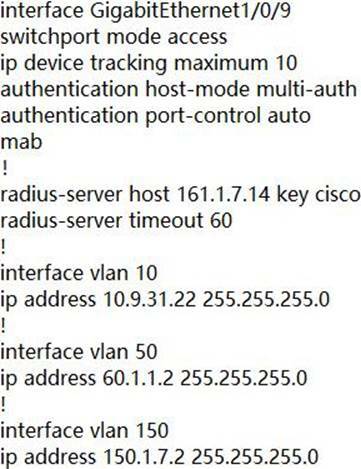 Which statement about SMTP authentication in a Cisco ESA deployment is true? 38. In a large organization with thousands of employees scattered across the globe, it is difficult to provision and onboard new employee devices with the correct proxies and certificates. 39. Which security control in PCI-DSS is responsible for restrictive card holder data access?